So you’re finally ready to build your dream home. How exciting! You know your next step is to choose a home builder. You’ll want a building company with a good reputation that you can count on to do quality work. Here are some tips for starting your search, based on recommendations by the National Association of Home Builders. First, check with your local home builders’ association. (Hint: Ours can be found at www.hbaofgreenville.com) The advantage of starting with a home builders’ association is that all builders must meet certain qualifications (such as licensing, insurance, good customer experiences, etc.) to be included on the list. In other words, the association does the initial vetting for you. Search the local news’ real estate section for ads and announcements. This will help you get a feel for who’s active in your community and what their price ranges are. Ask a real estate agent you trust. (Such as, as a random example we’ll just throw out there, someone from The Haro Group. :-)) Real estate agents are in local homes all the time and have great insights into what kinds of homes different companies specialize in, their price ranges, the quality of construction, etc. Get referrals from family and friends. One of the best ways to find a quality home builder is to talk to people who have worked with them directly. If you have a family member or friend who’s just built a home, start there. But you might also ask around your workplace, church, Meetup group, civic organization, etc. Once you’ve gotten your short list, do your homework. Make sure the home builders you’re considering can build the type of home you’re looking for, that the quality is good, and that they provide a good experience during the building process. Get ready to do some legwork and more talking. Ask the home builders directly for more information. 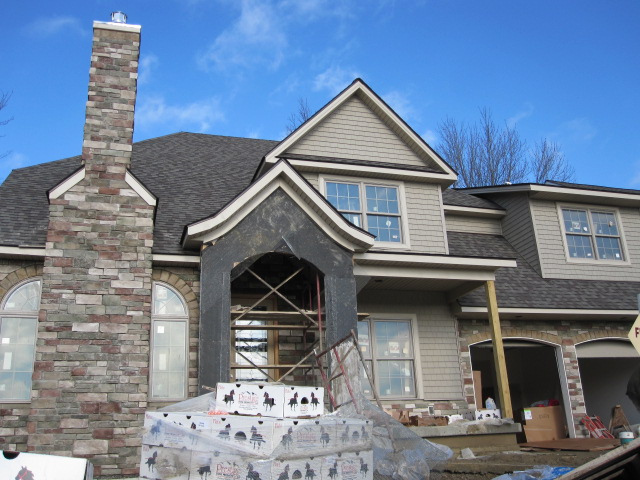 Most builders will be more than happy to provide information about subdivisions and homes they’ve recently completed. They may even be able to give you contact information from happy customers. Are you happy with your home? Were the builders easy to work with? Did they address any problems or repairs right away? Would you build another home with this company? Take notes. Writing down information from home builders and owners will help you recall important details and will help you keep what you hear about all the different builders straight. It will also help you make comparisons later and make a more objective decision. People are often eager to talk about their home experience, whether it’s good or bad. This kind of feedback can be worth its weight in gold (or at least save you a lot of time, money, and frustration). Once you’ve narrowed your list, it’s time to look more closely at the quality and value your preferred builders provide. Take advantage of open houses. Some home builders even have an annual “Parade of Homes” which allows you to tour several homes they’ve built—a great opportunity. Pay attention to the quality of the cabinetry, trim work, and carpeting, and take note of any wear and tear. Tour homes with your real estate agent. Remember that your agent has a good eye for quality and can often spot potential problems. You’ll want his or her perspective as well as other new home advice. Ask the builder if you can view model or unfurnished homes. This will help you get a better look at the construction quality, plus may let you see options for different finishes. If you’re touring with the builder, be sure to ask a lot of questions. Even something basic that may seem like a silly question may help you pick up on important information. Of course, we’ll be happy to talk to you about the things we’ve noticed about these different builders, plus general recommendations for what you’ll want to look for. If there’s any way we can help, please give us a call!